A Lite version of mod working well,but i found 1 bug.In Boston on station park street where player free Valentine a lot of triggermans was looped with respawn.I kill,then they respawn,i kill-respawn,around 10 times it continued,after that i just disable bugged npcs. That's true. You need to change one line, and everything will work. I have been looking for a mode like this for years. I have tried all of the other enemy spawning mods and have had problems with all of them from low frame rates to CTD but this functions perfectly. Your mods are fun. 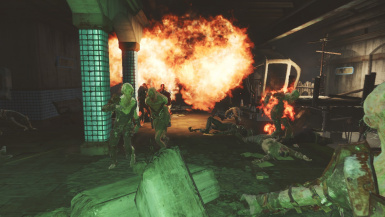 And is it possible to make a mod that add more enemies on the far harbor or/and nuka world just like the more spawn mods?